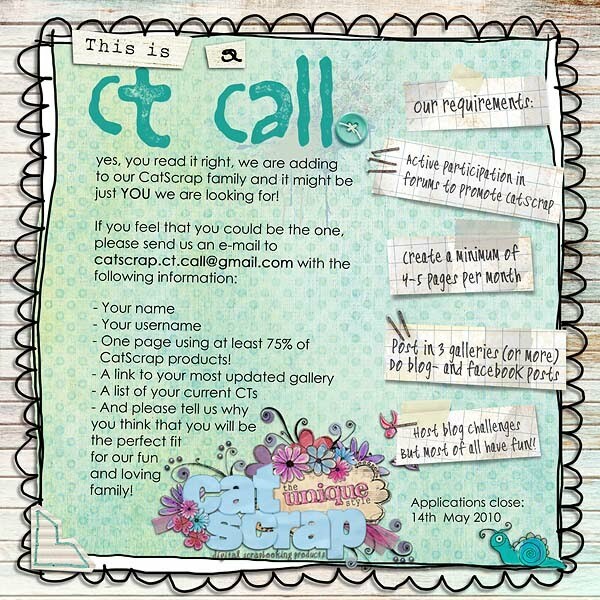 - One page using at least 75% of CatScrap products! 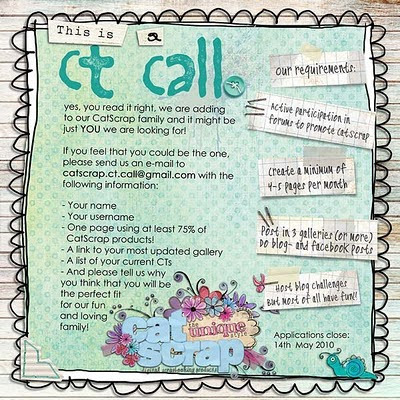 CAT SCRAP CT requirements are: - Active participation in forums to promote CatScrap - Create a minimum of 4-5 pages per month - Post in 3 galleries (or more) - Update blog and Facebook posts - Host blog challenges - But most of all have fun! !